Amaizing! The green one is WOW - thanks for the idea, i'll definately try it! I'm impressed! Really good idea. 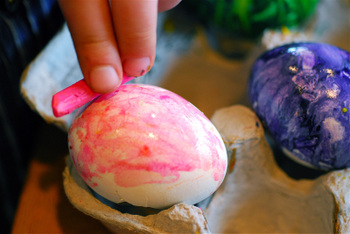 Yesterday I colored part of the eggs, but tomorrow I'll try this one too for the rest! Sorry for asking a clueless question but wouldn't these rot? LOL Do you eat them? Leave them out? Toss them after making them and taking pictures? Just wondering! I love the idea! 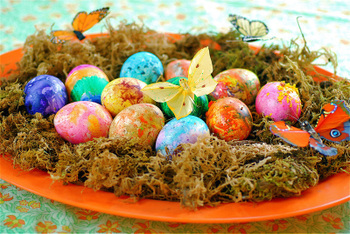 Great eggs!!! !Wanderful Idee,e like it!!! How fun! Loved this idea so much I had to share it at my page! Thanks! 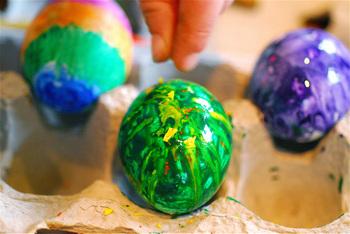 What great eggs! I would love to try them but don't think the 4 yo would do well with the heat. I'll defin be saving for when she gets a little older. Thanks so much for sharing! I am Amna, from UAE. 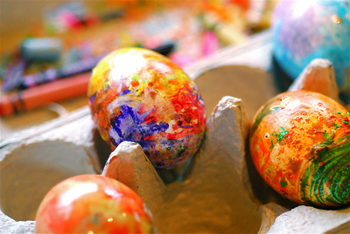 I really liked those colorful, cheerful, happy eggs. you are so creative. 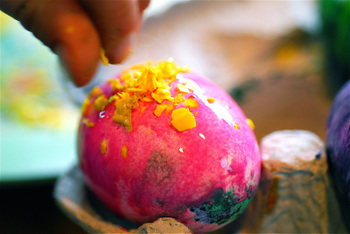 I am muslim, and we do not celebrate easter, but those eggs can be used to break routines from time to time. thank you for posting such an amazing idea. 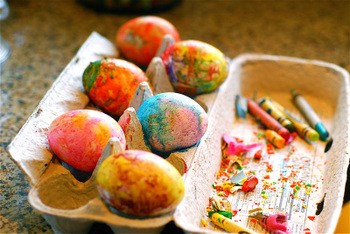 Those are the most beautiful eggs. wow. I so want to do this and blow out the insides as Allison wrote. 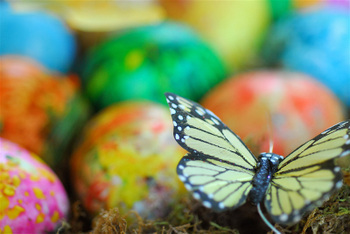 Your Easter pictures are so beautiful. And yet another fabulous idea! I'm hooked. I wonder if this would work if you blew out the insides. (?) Maybe make them into ornaments or something of the like. Wow, cool idea!! We'll try it this weekend. Oh, I think I see a kid craft in the near future. These are lovely - so bright and cheerful. I love it! We'll have to try this, too!